This isn’t really about Boris, who we know is a liar and a hypocrite and a coward. This is a multi-party failure, a generational disgrace and a deluded fantastical boost to the hyper-capitalism that is destroying our planet. The vote for Heathrow Expansion is a travesty but it is a revealing one about our cultural and institutional failure. The emissions figures are staggering and I will trot them out again shortly, but the lack of innovation, foresight or ambition is possibly more so, and the realisation that as a society – and as individuals – we are just locked into a set of beliefs which will destroy us. We absolutely have to be ‘open for business’ (whatever that means), we absolutely have to be part of the ‘global economy’ and we have a hard-wired belief in our right to travel anywhere in the world very quickly at an incredibly cheap price. Clinging to these myths in the face of climate crisis represent a crippling force against change. Despite a mountain of evidence we cleave to these stupid outdated ideas. No wonder our politicians vote like this. All parties failed. 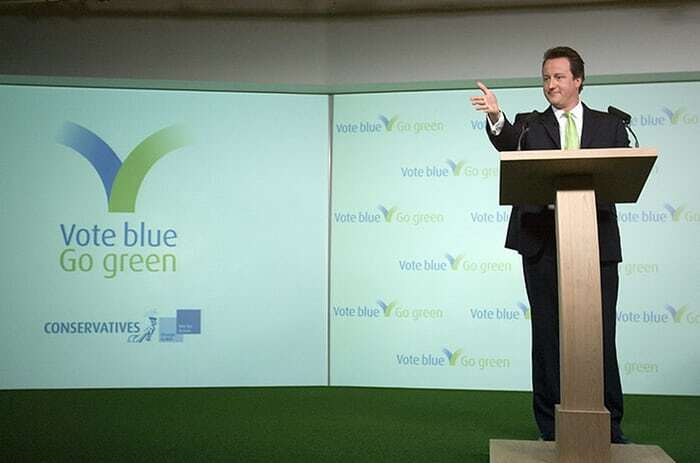 The Conservatives, racked with internal division have abandoned their bogus ‘Vote Blue Go Green’ slogans and Husky photo-ops for wrecking the renewables industry, abandoning tidal and pursuing the world-wrecking Heathrow and the preposterous Hinkley with glee. This is now an un-muzzled Conservative Brexit capitalism. Labour are in continued chaos. They talked a good game then 100 Labour MPs ‘defied Jeremy Corbyn’ and backed the Tories. Their leadership is inept to the point of farce. Mary Creagh, Chair of the Environmental Audit Commission wrote: “The economic arguments for Heathrow are unarguable. But the environmental case (climate change, air pollution) are unconscionable. I’ll be abstaining tonight.” The SNP were no better, abstaining when they could have opposed. Having first seen to be captured and lobbied senseless by corporate forces they then fudged and pretended they would make serious opposition, and then just capitulated. The inability for the opposition forces to work together, to be morally coherent or politically strategic is unforgivable. As Carbon Brief breaks it down: “Aviation’s greenhouse gas emissions could consume around half the carbon budget available to the UK in 2050, even if the sector’s emissions growth is constrained.” So if you are someone shrieking about your ‘right to fly’ – you will next be shrieking about your right to – insert whatever other unsustainable activity you demand here – next. The emissions from Heathrow are so vast they will impact on other areas or Britain will fail to meet its Paris Agreements targets. Next week – next week (!) – MPs will see the damning Climate Change Committee report which will warn that aviation and other emissions are growing so fast that homeowners and businesses may have to sacrifice gas cookers, central heating boilers and petrol cars for Britain to meet its climate change targets. Last year UK aviation emissions hit 37m tonnes, close to the pre-recession peak of 37.5m tonnes in 2005. The CCC says this must not be exceeded if the UK is to meet its 80% carbon reduction target. However, a report published on Grayling’s department website last week says aviation emissions will hit 43m tonnes of CO2 by 2030 if Heathrow expands. This is the kind of fantastical thinking many people indulge in. It’s an understandable defence mechanism against the idea that anything might be altered in your lifestyle as a consumer slave. But believe in ‘future technologies’ to save us from ourselves is just another aspect to climate denial. There are multiple ways in which new technologies are fast-emerging that will serve new zero-carbon transport systems, and the eye-watering investment in Heathrow could have been transformative in investing in these. But being able to frantically travel about the world for no particular reason seems like an odd hill to die on. In a despoiled world of the future, people will look back with anger at this exercise in mass delusion. SNP abstaining on an English issue? Cos anything they do makes a difference to England. C’mon, its like dealing with a child. They didn’t support it after all, they did the ‘right’ thing politically – not your ‘tartan Tory’ pathetic label after all. Must have annoyed you. As for the rest – England’s MPs – didn’t care, don’t care, will never care. So we become a Scotland who cares, with independence, a Scotland in the EU driving for ‘green’. It bloody well annoyed me too, Mr Logan. SNP were going to vote for. I wrote to my MP and argued that the justification case they were being given was a pack of lies and that they should vote against; they were told that it would increase connectivity for Scotland, just as the channel tunnel was justified by telling us there would be direct trains from Glasgow and Edinburgh to Paris and beyond. In the end as is said they sat on their hands and abstained. Labour as Her Majesty’s Loyal Opposition are just a disgrace without any coherent ideas or leadership. Between them and a few Tory rebels they might have knocked back this monstrosity but we are now locked into a spiral of enormous investment in background infrastructure around Heathrow. WE will not pay for the construction of the third runway bur we will contribute eye-watering amounts to extend London’s Crossrail, upgrade Piccadilly tube line and link in HS2 to service the increased traffic. Then we have the carbon disaster. Do you really think the developed world will follow through on the climate change obligations? It’ll be a cold day in hell if we can do without our planes and gas guzzlers. There is no way that The USA will do anything to change, most of the rest will point fingers at everyone else and carry on regardless. When New York is submerged by a category 6 Atlantic Hurricane (they presently only go up to 5) it will be too late and then the repentance will come; of course we will have paid for London to build a bigger and more extensive outer Thames barrage before then. Who votes for an MP to sit on his hands (apart from died in the wool Labour supporters)? Abstention should be barred in votes. ‘All parties failed’ – yet Bella only protested, tweeted at and wrote an article about the SNP prior to the vote. No other politicians were on the receiving end of Mike Small’s tweets. Point is Mike, you just made it a party political issue and you lost credibility. As long as the ‘useful idiots’ make it thus, there will never be any improvement as we’re all too busy fighting against each other to deal with the real problems. No better than the corporate press. This is just simplistic moronism. The SNP are not infallible. The purpose of the press is to hold power to account. Again, I agree, hold them all equally to account though. But do you agree, the SNP are at least open and trying to work towards a greener future. In what universe is abstaining on Heathrow working towards a greener future? Mr Ed why don’t you call this out for what it is? The abstention by the SNP is nothing short of absolute mendacity as you well know. They have already declared their supper if the third runway which supposedly will bring huge economic benefit to Scotland. I don’t see it personally but that’s what wee Nicola declared. Their abstention was nothing more than absolute hypocrisy supposedly to show they go not agree with the Tories but they declared their position long ago! The Greens know they have been ratted out by their “allies” and will exert a toll we all will have to pay to keep wee Nicola in Bute House. Shameful is the only description! The post Brexit damage to the English economy particularly manufacturing and exports will be so significant that there will be no budget for the expansion nor will there be any need for it. as a long time voter, what is the point of voting for abstainers. I beg to differ, Dougie. We will be paying for it as the price balloons to twice or three times the original estimate and the consortium goes bust, just like Carrillion. Plus we will be paying through our taxes for the infrastructure to serve this monstrosity, as you say – all for the benefit of the South East. They will profit from the employment this project will engender, the huge amounts of money sloshing around creating a multiplier effect boosting other suppliers and retailers in the area, so increasing the geographical inequality between London and the rest of this so-called state. Meanwhile the £1.3 Bn Swansea Bay tidal lagoon project, which would have provided carbon-free energy and some prosperity to Wales is discarded in favour of a polluting, CO2 generating monstrosity. I hope it chokes them. Mike Small chides the SNP for abstaining. To me, that is just another gesture to that parliament and to their supporters that their Scottish representatives count for nothing down there. An SNP vote against would have changed nothing. They knew that beforehand. Retired as I am, I travel a lot and prefer Schiphol as a hub every time I leave Europe; Far more efficient. of course, Gordon is right: give them the lamps and sell them the oil. An SNP vote against would have been absolute dishonesty given their stated position of supporting the third runway at Heathrow. Try to stay with the facts. A coalition between SNP, Greens and Labour – plus Tory rebels could easily have defeated the government with a bit of nous, cunning and strategy.”An SNP vote against would have changed nothing”, not true it could have made it much more uncomfortable and potentially defeat the govt. ‘defeating heathrow 3’ is clearly a minority position, and, if one appreciates prosperity, should be. It would have been dishonest! Why can’t you bring yourself to call them out? They still support the third runway. There has been no change if mind. The only purpose of the abstention was to try to show themselves in a false light i.e. opposing the runway. Tartan Tories tell tall stories! Tartan Tories Tartan Tories Tartan Tories. Your comments are most illuminating, Jamsie. Ed, you’ll be blaming the SNP next for not bringing down Theresa May and the Conservative government. So far we have had Salmond’s lies on advice, Swinney’s lies on the named person scheme, lies on transport, education, lies on accepting the results of referendums, lies on the health service, MPs charged with theft and fraud, others mired up to their necks in deception and wee Nicola’s blatant lie on fracking. Now we have this absolute mendacity where over the last three years they including wee Nicola have publicly declared their support for the third runway at Heathrow yet to avoid outright confrontation with green Pat the abstain. If you cannot see the dishonesty there is not much help got you! Sorry Jamsie. I think you are in a minority here. The SNP leaders are portrayed in MSM as the monsters. Indeed the verb in use is to monster; every supposed failing that can be imagined or conjured up is attributed to SNP leaders by name and plastered in all the tabloid headlines – Another hammer blow for Sturgeon, Sturgeon Blunders etc. Do you ever wonder when you go into a paper shop that many of these “organs of News” carry similar headlines about the current headline “catastrophe” for Scotland? It is a concerted campaign to discredit the party of Independence run by teams like “Scotland in the Union” and others. Do you remember when Nicola Sturgeon was elected, she was admired by almost everyone; now her approval ratings are falling due to the constant drip, drip of negative headlines. Exactly the same happened with Alex Salmond; he was mostly liked for standing up for Scotland and making big improvements on what the municipal Labour crew had done before until the Independence referendum was announced. By the time of the vote many people that I met on the doorsteps were saying “I’d vote for independence but I canny stand Salmond”. When we go for the next referendum watch for the same treatment with knobs on. Gordon, as I understand it, the tidal lagoon project is just another tory cash scheme. For detail, see Private Eye. In a nutshell: the tory who runs the companies (yes, more than one) involved is demanding massive guaranteed energy prices, and is proposing to destroy a coastal stretch of Cornwall in the process of building said lagoon. Advances in green economy are only possible via CAPITALIST NEGOTIATION – hysterical screech won’t do it, as should be abundantly clear by now – the louder the hypocritical ‘experts’ (they fly EVERYWHERE) rend their clothes and cryingly flagellate, the less they are heard. ex. incandescent lightbulb … GE, Phillips, Siemens, etc. only built plants for fluorescent and halogen technology when incandescent had a (political) die-by date. ex. The EU is not reducing nothing, nowhere. When new accounting, new arithmetic, burn-bank trading schemes, and planting trees in Malawi & Botswana were invented … magically, the EU is GREEN(er). snort. EDF’s taller windmill scheme (another example of how the world REALLY works) should be studied as realpolitik. They are better placed to win auctioned subsidies; the Sevran tidal bore project? less so. greenies and their fellow travellers need to take a breath. In other news, the tarmac melts and UK transportation systems designed in cooler days starts to get stuck. Dead right. In a huge, globally integrated industry like aviation where there is so much invested in infrastructure there’s simply no room for big technological leaps. My cousin, an aviation engineer, was working on a project to build a carbon fibre commercial airframe. Why carbon fibre? Because it’s”greener” than steel and aluminium… Lighter, stronger and lower impact. Except that all the parts of an aircraft have been progressively optimised over decades of design, so it’s almost impossible to do better from scratch with a new material. Oh, and carbon fibre can’t be recycled after use like metal can.